This week’s travel quote comes from W. Clement Stone, a businessman, philanthropist, and self-help book author. He is often cited as a real-life example of the rags-to-riches trope, having created a massive fortune from nothing. 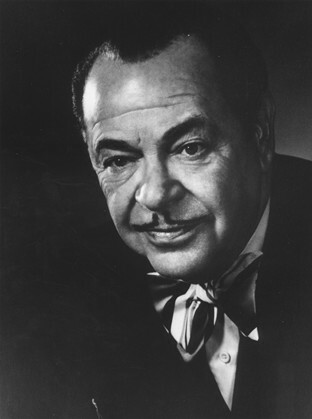 Born into an impoverished Chicago family in 1902, Stone showed business acumen from a young age, owning his first newsstand when he was just 13. Within a few years he was running his own insurance company, and by the 1970s he was one of America’s richest citizens—achievements Stone attributed primarily to a few key habits. The quote—“Thinking will not overcome fear, but action will ”—comes from his 1962 book Success System That Never Fails. According to Stone, you had to confront your fears to achieve your dreams, as only then would have control over your environment. If you’re like me, you’ve had times in your life where fear has controlled you; where you were unable to live your life the way you wanted because you were afraid of what could happen if you ventured outside of your bubble of protection. And you’ve also probably tried to think your way around these fears. After all, it’s easier to rationalize why it’s OK for you to avoid your fears than it is to face them. 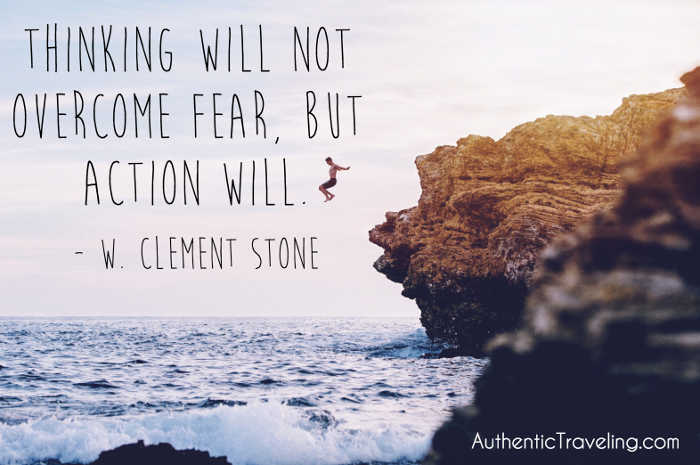 W. Clement Stone, the author of this week's travel quote. This is a mistake. As long as your fears have any say on what you do and don’t do in life, you are not in control of your life. And if you’re not in control of your life, you cannot achieve your dreams. The greatest gift that travel has given me is the opportunity to confront my fears head on. For most of my life, I had a severe fear of flying. The idea of getting into a metal tube that would climb thousands of feet into the air made me physically ill. Yet, if I was going to travel internationally, I’d have to confront this fear. Finally, I decided I’d had enough. I planned a trip that included over a dozen flights of varying length and on varying models of aircraft. The first couple flights were tough, but eventually I got used to being in the air. By the end of my journey, I was eager to get on the next airplane, as that meant I’d be headed somewhere new. Don’t let fears control your life. Traveling is a fantastic way to confront your fears head on and transform your existence into one of power rather than weakness. Only then, will you truly be alive.